Limited stock available. Order yours now! Why compromise for less! 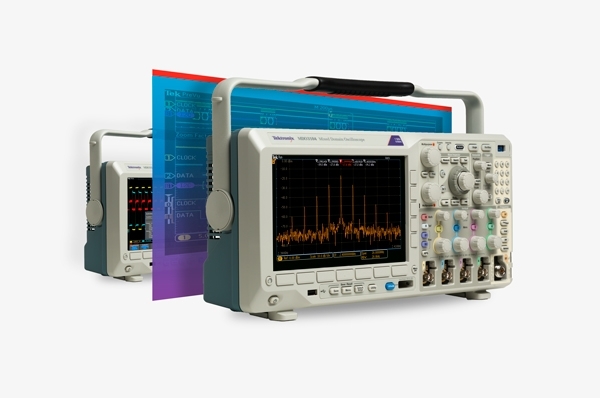 Get 25% off a brand new industry leading Tektronix MDO3000 Series Mixed Domain Oscilloscope! Why settle for anything less than exact? Limited stock available! Order yours now. PLUS, get 25% OFF any combination of the following modules/options when you buy one of the scopes above. MDO3AFG: Arbitrary function generator with 13 predefined waveforms and arbitrary waveform generation. MDO3MSO: 16 digital channels; includes P6316 digital probe and accessories. MDO3SA: Increase spectrum analyzer input frequency range to 9 kHz – 3 GHz and capture bandwidth to 3 GHz. MDO3SEC: Enhanced instrument security to enable password protected control of turning on/off all instrument ports and instrument firmware update functionality. MDO3BND: Application module that enables all of the functionality of the 9 modules below. MDO3AERO: Aerospace Serial Triggering and Analysis Module. MDO3AUDIO: Audio Serial Triggering and Analysis Module. MDO3AUTO: Automotive Serial Triggering and Analysis Module. MDO3COMP: Computer Serial Triggering and Analysis Module. MDO3EMBD: Embedded Serial Triggering and Analysis Module. MDO3FLEX: FlexRay Serial Triggering and Analysis Module. MDO3USB: USB Serial Triggering and Analysis Module. MDO3PWR: Power Analysis Application Module. MDO3LMT: Limit and Mask Testing Application Module. Offer ends until stocks last.